PHILADELPHIA -- One country music megastar had guests at a Philadelphia wedding thinking "I like it, I love it" Saturday night. 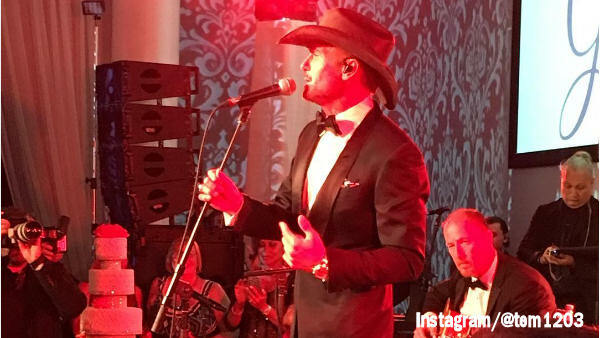 Grammy Award winning singer Tim McGraw surprised the bride and groom during their reception at Cescaphe Event Group's Vie on North Broad Street. Action News is told the bride's father was behind the singer's attendance - as McGraw first appeared during the father-daughter dance. But he didn't stop there! This will certainly be a wedding everyone will remember! Congrats to the newlyweds!